sealed for life so no topping up,good for me. brill delivery . Quick service.. priced matched.. well packaged.. work well.. Excellent quick delivery.only down side i got left with a pallet i didnt need. Excellent service and delivered on time and right place! I have used the elecsol/EXV220 for the past 14 years, no problems. Delivered within 24 hours of order . Great service would recommend to all . Batteries working well on boat. I was very impressed by the ease of purchase from your web site and was also very impressed by the speed of delivery of the batteries. 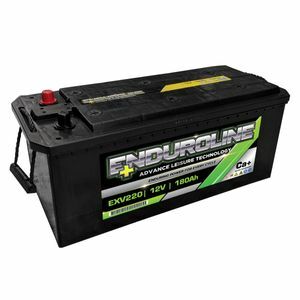 Will most certainly be telling other boat owners at this yard where to obtain specialist batteries from. I purchased EXV220 batteries as a direct replacement for Elecsol 220's on our narrow boat and I have been able to slot them straight in the only difference being the width of the base of the EXV220 type which are several millimetre wider than the Elecsol 220 which might be an issue if the retaining box is tight which I thought was going to happen on one of ours but fortunately did not occur. The service received from Tayna was really good with helpful advice to my questions and as I purchased 5 at once a welcome discount was given. Delivery was prompt with helpful email notification with the carrier dropping them off at the marina exactly as arranged. Great help when the battery i ordered wasn't in stock, very happy with these! And not to forget: quick delivery. first class service, units arrived when promised,and fitted straight in to the space originally occupied by elecsol 220's as the new elecsol 220's are 1.5" taller with the posts reversed and would not fit the battery compartment. they were also cheaper.